Pop quiz: What do these racehorses have in common? Lady Eli, Undrafted, Wavell Avenue, Paulina's Love, Exaggerator, and My Man Sam. Yes, they're either unbeaten, graded stakes winners, Breeders' Cup champions or Kentucky Derby contenders, but there's a common thread with all of them. His name is Sol Kumin. Kumin is the 40-year-old CEO of a Wall Street hedge fund who got into horse racing two years ago having virtually no knowledge of the sport, aside from a couple of college jaunts to the Preakness infield. But while his house on Nantucket Island was being built by real estate developer Jay Hanley, Hanley shared his longtime passion for the game. They named their partnership Sheep Pond after a road on Nantucket, and Hanley reconnected with trainer Chad Brown, who had previously trained a filly he owned. Remarkably, one of the first horses the new partners bought was Lady Eli, the $160,000 purchase who won the Breeders' Cup Juvenile Fillies Turf later that year and who remains undefeated from six starts. Kumin credits Hanley and Brown for guiding his early decision-making. While Kumin was just along for the ride at that stage, he has since immersed himself in the sport, branched out to create other partnerships, and formulated his own strategy for success. 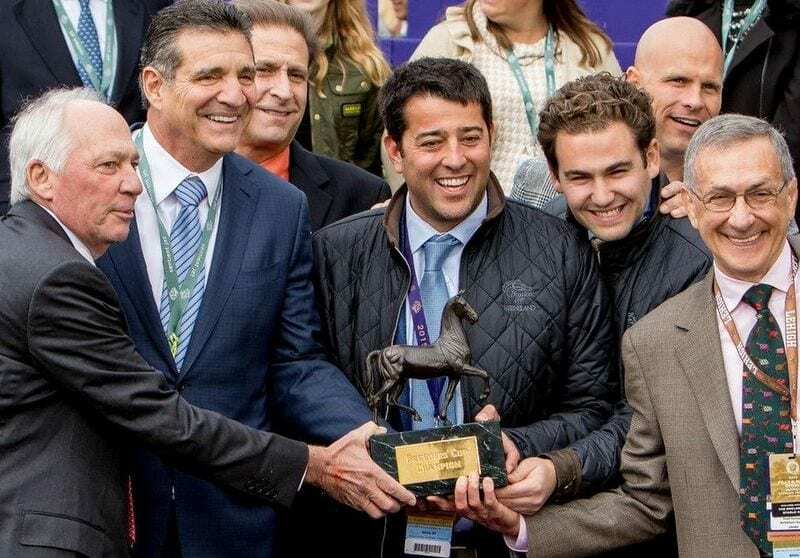 Kumin is now involved with half a dozen partnerships, and while he still buys horses at auction, a majority of his money goes into purchasing horses that have already raced, including Breeders' Cup winner Wavell Avenue, Royal Ascot victor Undrafted, and Paulina's Love, who won a Grade 2 in her first start with Kumin as a partner. Kumin likens his approach to what he does in his day job at Folger Hill Asset Management. He'll take some risk, but he wants a diverse portfolio. He values information and talented people he can trust. Kumin hired Bradley Weisbord to manage his racing affairs. He's purchased horses on the advice of well-known bloodstock agents such as Steve Young, Gatewood Bell, Nick Sallusto, David Ingordo and Pete Bradley. Kumin said he wouldn't pay $600,000 for a yearling or unraced 2-year-old, but he might spend $200,000 on a sale horse or even more on a proven commodity. A large percentage of Kumin's holdings are in turf horses, fillies specifically — due in part to Brown being his primary trainer but also because he believes turf horses tend to stay sound longer and buying young colts can be a “boom or bust” proposition. Of course, the young owner isn't immune to first Saturday in May fever. This year, Kumin bought into Exaggerator and last year, he worked out a deal to purchase My Man Sam off the farm. Wouldn't you know it? They both qualified for the Kentucky Derby. 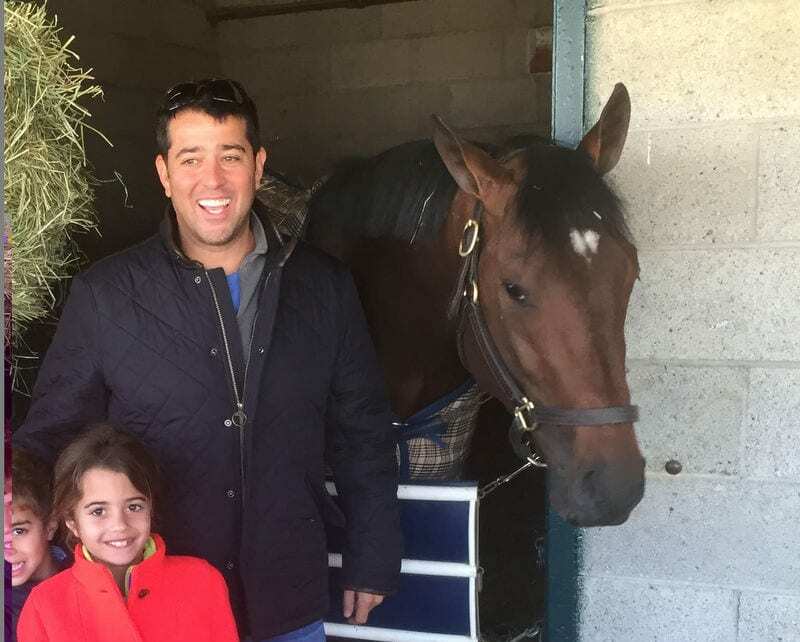 Kumin, who lives in Boston and commutes half the time to New York, said his family is “psyched” about his new hobby (My Man Sam is named after the youngest of his three kids and Lady Eli is named after his wife, Elizabeth). Kumin has also brought friends into the sport, as owners and fans, and last year, he donated a percentage of his Breeders' Cup earnings to the Thoroughbred retirement group New Vocations. For his early success, OwnerView named Kumin the 2015 New Owner of the Year, but Kumin is also cognizant that he's been lucky to start off so well and to have connections that helped him avoid some of the traditional pitfalls for neophyte owners. He's gone through cold spells in the financial industry and knows fortunes turn on a dime in this sport, too. Still, he plans to maintain his respectful approach to the business no matter what. This entry was posted in Connections and tagged Breeders' Cup, Breeders' Cup presents Connections, Chad Brown, Connections, exaggerator, Horse Racing, Jay Hanley, kentucky derby, lady eli, my man sam, owners, OwnerView, paulina's love, racing ownership, Scott Jagow, sheep pond partners, sol kumin, thoroughbred racing, Undrafted, wavell avenue by Scott Jagow. Bookmark the permalink.